• You go to a grocery store, and you read the boxes, cans and labels. • You walk or drive down the street, and you read the street signs. • You go online, and you read articles, social media posts and news. You enter nearly any location, and there’s something that you read without even thinking about it. How else are you learning new information all the time? 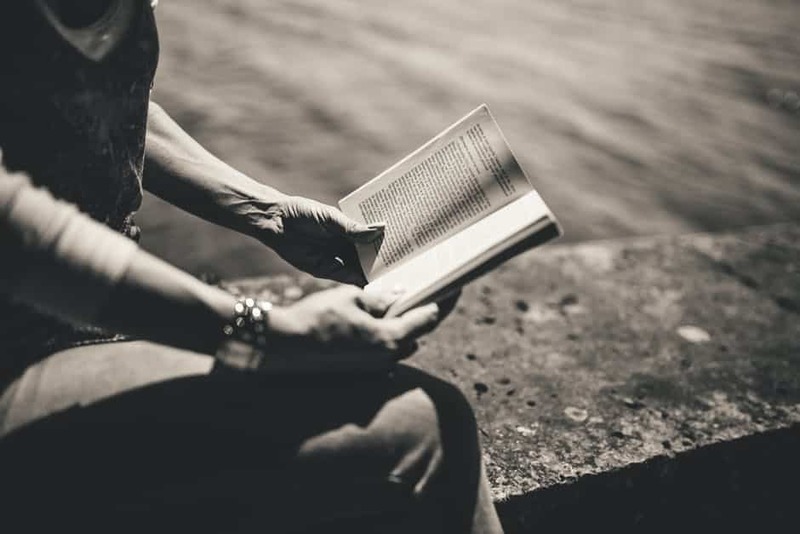 Reading for information is simply a habit of life, but many people aren’t taking the real advantage of reading that can completely change their lives. I used to be like you; I would only read when I absolutely had to do it. Then, I would read the information located around me, but I wouldn’t sit down and read a book for pleasure. But I didn’t have the time! I have small children who need me, I have a full-time job and I’m just a busy person in every way. However, someone recommended that I take some time out of every day to sit down and read something enjoyable by myself. It was easier said than done. With my busy schedule, I had to find a time to be alone, to mentally take a break from my daily tasks and to make the effort to have reading material. Who doesn’t want all of these awesome benefits? You must start reading to reap some of these benefits. It isn’t easy to start making reading a habit, but once it’s a habit, it’ll be automatic. Automatic is easy and is a positive habit. Now is the time for you to start to read to achieve. Start by setting a small goal. You’ll achieve more if you set a goal. This idea was proven by a study of Harvard MBA grads in 1979. While only 3 percent of a graduating class indicated that they had written goals for themselves, that 3 percent went on to earn 10 times as much money as the other 97 percent combined. If that doesn’t convince you that setting goals is necessary, I don’t know what will. Setting goals is a great idea for all aspects of your life, but we’re just focused on your reading goals. First of all, you need to decide whether you want to set a time-based goal or a page-based goal. These small goals can teach you very important life lessons. Either option is acceptable, but make sure that you start small. This is incredibly important, or you’ll quickly give up the process. Think of it the way that you work with little kids. If you give them a long list of tasks to complete or if you ask them to read an entire chapter book, they’re just going to give up and cry. The same is true for you even though you’re an adult. You need manageable chunks of progress that you can check off each day until you’re invested enough to read for a longer period of time. For example, you can start with just five minutes or just two pages a day. You may wonder why you should even start if you’re only going to do that much, but believe me, you’ll appreciate the short goal and the ability to check it off your list of daily tasks. Make sure that you write your goal down somewhere so that you’ll see it as a reminder and so that you’re checking it off. What’s important in creating this habit is that you stay consistent and that you read every day. Pick a target amount that is doable for you, and you’ll start creating that habit. Research shows that it can take you anywhere from 18 to 254 days to create an actual habit depending on the person and on the activity. Don’t give up! Make a list of books that interest you. You have to find reading material that is interesting to you. It’ll be very difficult for you to want to read or to choose to carve out reading time from your other busy activities if you find your book uninteresting. Reading is meant to be enjoyable; otherwise, it loses its power. Make a list of five books that interest you. This will help guide your reading choices and assist you in finding enjoyable reading material. • Go to Amazon, Barnes and Noble or another bookseller and type your topic and “best sellers” into the search bar. • Examine your favorite blogs for reading lists that might interest you. • Ask your family and friends for their personal recommendations. • Look for references in the books that you have now. 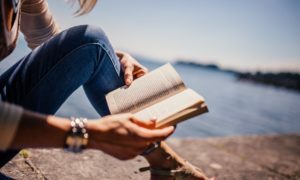 Creating this list from the beginning will help you avoid the other common pitfall of starting a reading habit: finishing a book and finding a new one. If you already have a list in place that you constantly update, you’ll always be ready to choose a new book to read. Pick one book to begin. If you already have your list of five options, you can pull one from that list. Start with something reasonable, not a monster tome that you heard was a classic that everyone should read. Remember that your reading goal is small, so it’ll take you a while to get through the book, and find something that you know you can set down and pick up repeatedly. It’s really hard to start a new behavior. Your new reading habit will be the same. Set aside a time each day that you’ll use for reading. Actually schedule this time on your home calendar, Google calendar or whatever you use. Create reminders for yourself on your phone, or do whatever kind of prompting you need to make yourself responsible for actually reading. You know when you’re going to read, you know what you’re going to read and now you need a good place to read. Put away your smartphone, your computer and any other digital distractions. Don’t grab any food, get away from your children and find a quiet location completely on your own. Therefore, you need to focus on your book and nothing else during your scheduled reading time. Do it! Meet your goal! If you need more motivation, here are some quotes that will help! Once you have met your goal, or even exceeded it, you need to reward yourself for making it to the finish line. Whether a self-congratulatory pat on the back or watching your favorite sitcom, give yourself credit for meeting your goal. You deserve it. You may be tempted to increase your reading goal, but I can’t encourage you enough not to do this. You’ll always be able to meet the small goal, but if you keep increasing it, the goal will eventually become so large that one day you’ll fail. Failure is demoralizing, and you don’t need that in your reading habit. Stick to your small goal, and feel free to go beyond it whenever you want. When you are reading regularly, you’ll reap those benefits I discussed earlier. You’ll be more interesting, you’ll be more creative and you’ll sleep better than ever. Your elementary teachers were right! If you read to achieve, reading can really change your life. This is so true. It’s amazing that when you get the right read at the right time it can change your life forever. In my case it was to start reading The Problem Solver by Tom Gehring, tomgehring.com is his site. This book started the change in my life, and I wasn’t even aware of how much I needed the change. Thank goodness I found this book! Thanks for the information its good.